Today I received an email from Image Journal, and in that email was a link to a new poem from Scott Cairns called Lenten Complaint. This poem reminded my how I've been stirred by the words of Scott Cairns in the past. How when Cairns reminds me that, "He shaped of every sepulcher / a womb", I resonate. How his relationship with Greek Orthodoxy, the Greek language and the Christian faith stirs a potent poetic cocktail. How his phrase 'every womb a sepulchre' How I haven't done so well with Lent this year. How I have my own complaints. How we share a broken hope. I realized, reading that poem, that you may not know the work of Scott Cairns, and how that would be a shame. 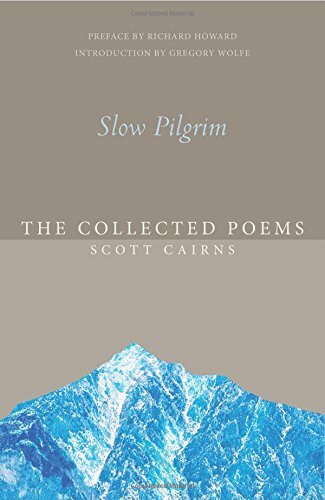 His latest book of collected poems is called Slow Pilgrim. Whatever you are fasting from for Lent, I hope it isn't poetry. Read Lenten Complaint, from Issue 68 of Image Journal, here.